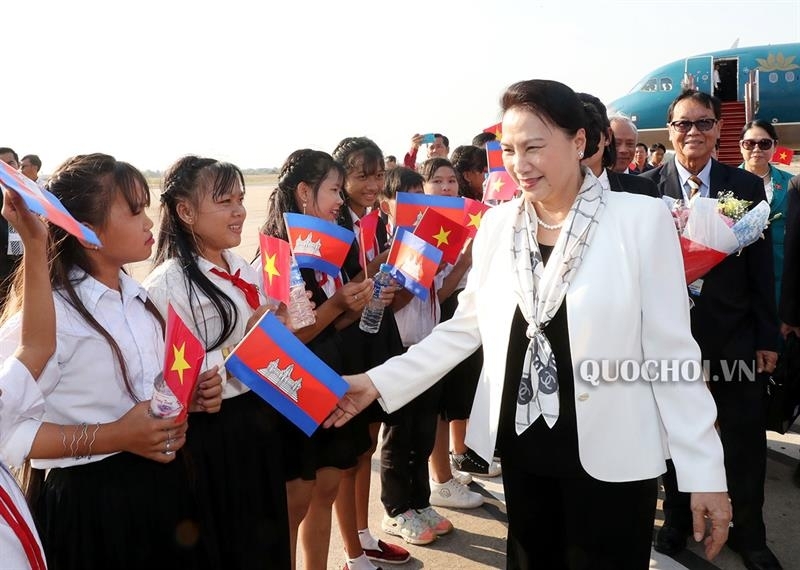 National Assembly Chairwoman Nguyen Thi Kim Ngan and the high-ranking delegation arrived in Siem Reap, Cambodia on January 14 to attend the 27th Annual Meeting of the Asia-Pacific Parliamentary Forum (APPF-27) from January 14 to 16. It gathers 27 member parliaments: Australia, Cambodia, Canada, China, Chile, Colombia, Costa Rica, Ecuador, Fiji, Indonesia, Japan, Laos, Malaysia, the Marshall Islands, Mexico, Micronesia, Mongolia, New Zealand, Papua New Guinea, Peru, the Philippines, the Republic of Korea, Russia, Singapore, Thailand, the US, and Vietnam. Through APPF meetings, Vietnam’s legislative body made proposals and recommendations to step up coordination, contribute to maintaining peace, stability, and prosperity in the region, while expanding the forum’s ties with other inter-parliamentary organisations in the world. Through their attendance at the APPF-27, Vietnamese parliamentarians continue performing their proactive involvement in multilateral parliamentary diplomatic activities, thus heightening the country’s role and position at this forum and joining in diplomatic efforts for peace, cooperation and development.